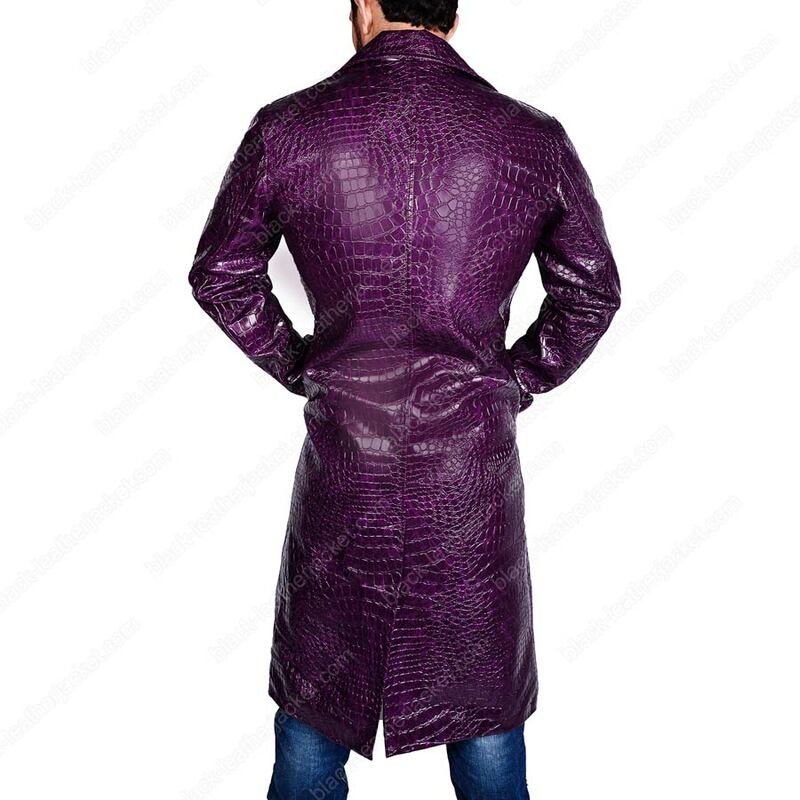 Suicide Squad Joker Coat a fabulous attire worn by Jared Leto portraying the negative character of Joker. 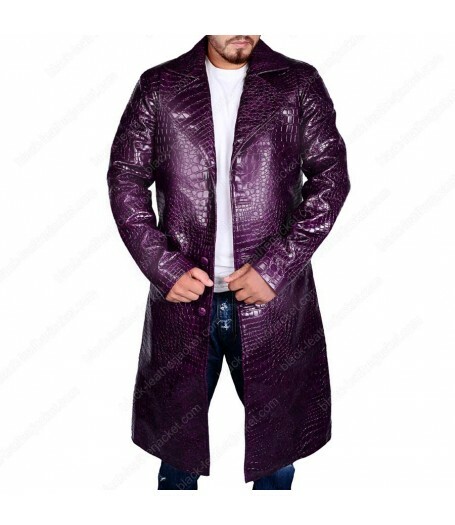 The alligator skin purple colored Joker Leather Jacket has seized the concentration of one and all since featured in Suicide Squad, the movie. Since seen in the film, the Joker Coat has made headlines all over the world. 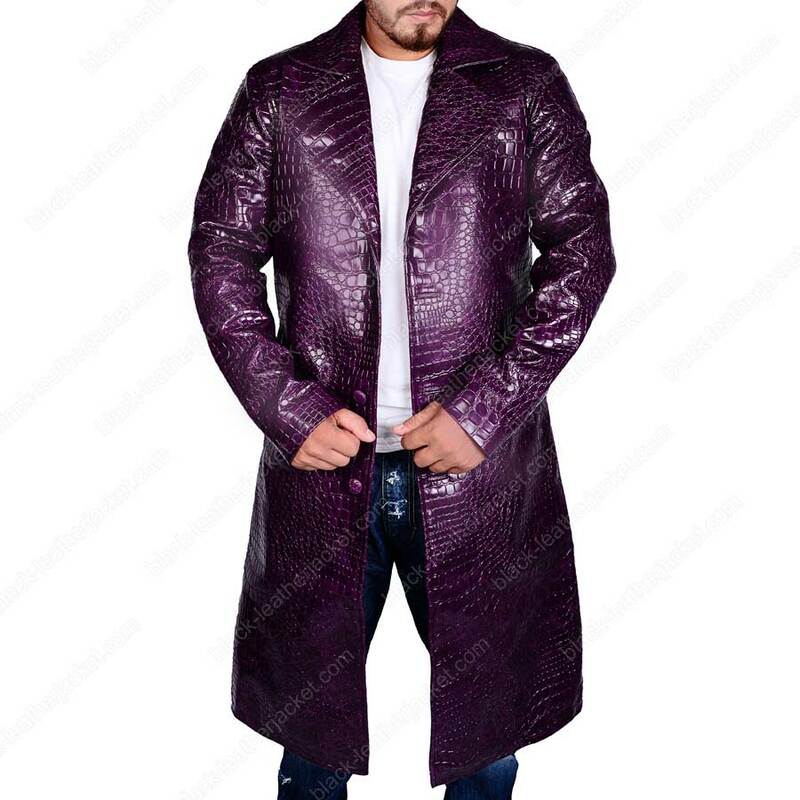 Suicide Squad Joker Coat is a stirring attire from Suicide Squad, the movie consisting of faux leather with viscose lining inside. 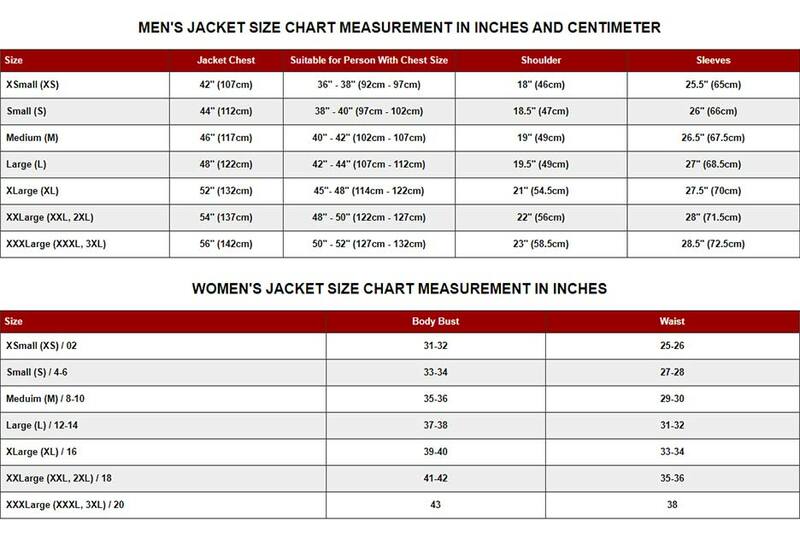 Joker Jacket comprises of open hem cuffs, lapel style collar and front buttoned closure. To keep the belongings safe, there are two side pockets available outside the shiny Suicide Squad Joker Coat. 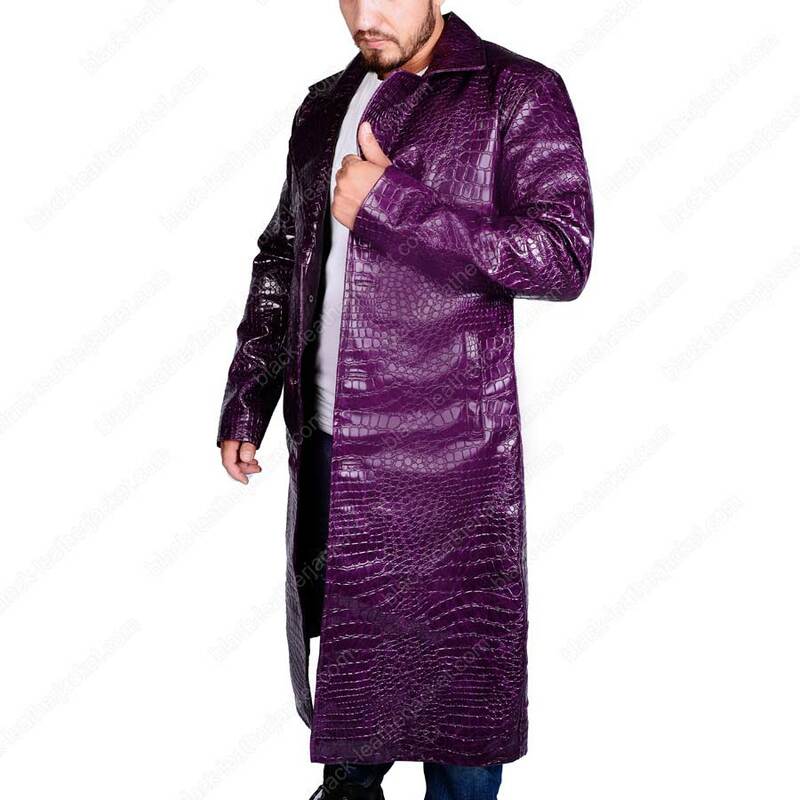 If you are looking forward to this awe-inspiring Joker Coat, you can get a replica of it, based on the original.